This is a simple problem but the question is how to implement it in a script ? . 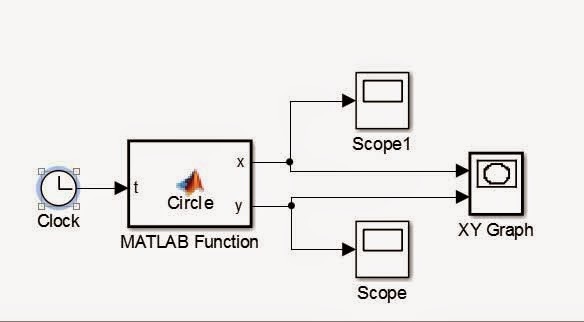 Example circle Reference is as a reference movement of a system , eg UAV aircraft, quadrotor , submarine ( AUV ) , Robot Manipulator and many others . Here are the steps to create circle references . you need to remember the concept of a circle in the XY plane is a circle formed of Sine on one axis and Cosine on another axis. 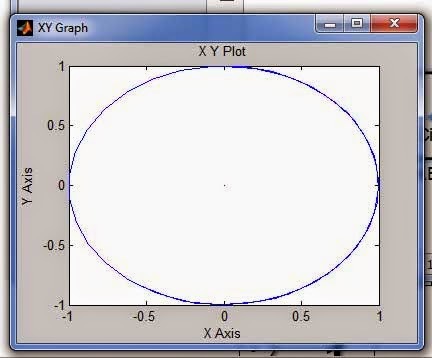 Gain is used to enlarge the radius of the circle , the frequency for the speed trajectory .